Bio: Thomas Mulinazzi has practiced collaborative law for over 12 years and holds an Advanced Certification in Collaborative Process. He is also a certified mediator and is appointed by the Court to be a Best Interests Attorney for Minor Children in litigated custody cases. In all these roles Thomas listens to the needs of the family and looks for the best family-centered solutions. He is a former Howard County classroom teacher. He is married with three children, and three dogs, and lived in Howard County since he was a child. Thomas enjoys working with families and people on both sides of the collaborative table to create unique solutions that are tailored to help unique families. He recognizes that the emotional trauma of separation and divorce makes it difficult for people to see a path forward. Thomas’ collaborative style is unique in that he brings creativity and humor to the process in a respectful and non-judgmental way. He is mindful of the costs of the process but his creative but common sense suggestions save his clients (and their families) a lot of money. Awards: Maryland Super Lawyers named Thomas one of the Top 100 Attorneys in Maryland (for all practice areas), putting him in the top ½ % of all attorneys in the State. 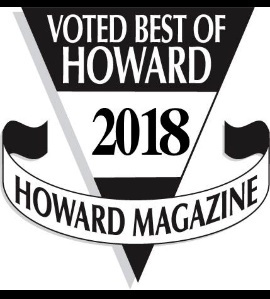 The Law Office is consistently voted as BEST OF HOWARD COUNTY Family Law Office by Howard Magazine. 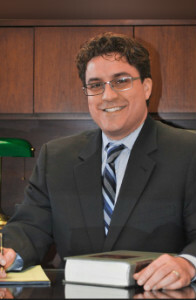 He is a Maryland Super Lawyer, earned the Avvo.com Client’s Choice Award with a 10.0 “Superb” rating, and he was selected as one of the Top 10 Family Law Attorneys in Maryland by National Assoc. of Family Law Attorneys. Still, the best “awards” he has are the dozens of great client reviews shared on-line to include 83+ reviews on his Avvo.com profile, and other reviews on Facebook, Yelp, and Google for Business.